I’ve been hit by some nostalgia lately and I’ve been thinking a lot about the Detroit Zoo. The painted Elephant tracks, the Penguin house, and the Chimpanzee shows have all crawled back into my head and fill my day dreams. Because of this feeling I’ve suddenly wanted a physical representation of these lost childhood visits; I want a Detroit Zoo Elephant key. It makes no sense, it’s not like it would work with anything anymore. Regardless I keep searching eBay and other places for one. The Zoo Keys were invented by Bruce Sedley. He was a children’s TV host who would spend his weekend telling stories at a Fairytale park. They recorded him singing songs and telling stories about the exhibits. These recordings were then housed in boxes that could be activated by inserting the correct key. Suddenly this idea spread to zoos across the country. 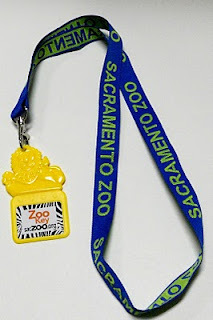 The Detroit zoo key would work at the zoo, the Belle Isle Kid’s Zoo, and the Belle Isle Aquarium. Bruce Sedley is still selling Zoo Keys, although they’ve changed quite a bit over the years. Now they are all done with magnetic strips and most keys are only good for a year. It’s a better system for the zoos that are using them, but there was something iconic about the old key’s design. Awe, what a neat idea! Somehow, despite growing up near a big zoo(D.C.) I never knew anything like this existed!